Read What Some Of Our Clients Are Saying About Working With Kim Brown. . . If you want top a top tier Realtor in Southwest Colorado you need to call Kim now! She represented my wife and I recently as we purchased a lovely property in Colorful Chromo Colorado. Kim went above and beyond to ensure that our purchase was worry free from offer to closing. She has a vast knowledge of the local area and great contacts ranging from title offices to banks and even well inspectors. Most importantly, she was tenacious in representing us and her true professionalism was made evident during a time when our negotiations were on thin ice. You want her on your side, you need her to be your Realtor! Thanks Kim!! We live in California and were looking for a second home in Pagosa Springs. I contacted Kim in early June(based off of favorable reviews) to set up meeting and house hunting in late July. We had a few phone conversations, going over what we were looking for, budget ect. We changed our plans last minute late June and ended up in Pagosa on a Tuesday. The following Wed and Thursday, she showed us many of the properties we had shown interest in as well as a few others. She provided us her undivided attention along the way. We put in an offer before we left on Friday. The house was one we hadn’t requested to see, but she LISTENED to our needs and found us the perfect house. We went back in July for closing and she was there with us when we got the keys to our new home. I can’t say enough about her diligence and professionalism. We have made our first friend in Pagosa, Kimberly Brown. I can’t say enough about working with Kimberly. We could learn the facts about Pagosa Springs from sources on the internet, but there was no way to get a feel for the town, the people, the neighborhoods, and the business climate. Kim spent three Saturdays introducing us to the real Pagosa. We brought with us a set of challenges that didn’t faze her for a moment. Her professionalism, kindness, and enthusiasm made our relocation a positive experience. Thank you, Kim, for finding our perfect, modest, and sweet little retirement house. What a joy it was to work with Kim! My husband called 4 other agents at 5pm one evening about showing us a property the next day. Kim was the only one of 5 who answered the phone that evening. The rest is history. Kim was knowledgeable, professional, warm & friendly throughout the whole house-hunting/buying process. We have no complaints whatsoever with Kim’s performance. She is a great agent, has good integrity and is a totally fun person to work with. 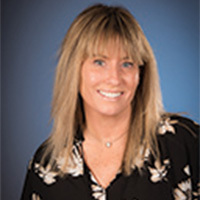 We would readily recommend Kim’s services to anyone buying a home in the Pagosa Springs area! We worked with Kimberly for almost two years to find just the right property for us, and we could not be more delighted with her service. She is very knowledgeable about all aspects of the local situation: the best builders, the best neighborhoods, pros and cons of each location, and various factors to weigh in consideration for each property. She listens to us, and finds the best properties to meet our specific needs. She is patient with our many questions and always responds promptly. She is friendly and fun to work with, so this buying process has been very enjoyable for us. Kimberly helped us find the Colorado dream property that we have looked forward to for years, and we recommend her service without reservation. Kim took over listing our house after 1 year of another listing agent. We never even had an offer in that 1st year. The day that Kim listed, we had two offers. We are stationed overseas working for the Department of Defense. Kim took care of getting property in shape and all the paperwork to close without us having to return to the States. There is no one that I would recommend higher. Kimberly went above and beyond to make sure we were happy with our selection. She showed us over 15 homes until we narrowed it down to “the one”. She has been patient and understanding on choosing our forever home, even when we did not qualify the first time. I will definitely use her again for any future real estate needs and will recommend her to all my friends. Kimberly did a great job showing me many properties while I was in Pagosa Springs, Colorado. It was a pleasure to meet her, and to purchase a lot in SW Colorado with her help! I started my search for property in Pagosa Springs with an agent that didn’t have time to show me the area. I found Kim Brown! I called her in the height of the summer, told her I was in town for a couple of weeks and what I was looking for in a property. She picked me up the next day and not only presented me everything I was looking for, but also location to best serve our needs. Kim gave us detailed information on the area and continues to be helpful with anything we need in our continued search for additional properties! Having bought two properties from Kim already, we look forward to many years of Kim’s knowledge and friendship in our future endeavors! Exceptional agent! Kim helped with our purchase of a vacation home and adjacent vacant lot. Kim was extremely professional and knowledgeable about both the local market and the ‘process’. We live 800 miles from the property and Kim was invaluable in keeping us informed and on track as we worked the process from the initial visit to closing. I would give Kim Brown my highest recommendation. Steve and I have bought and sold many homes over the 44 years that we have been married and Kimberly Brown is our personal favorite. While easy and lighthearted, her knowledge and professionalism made us feel confident that she was looking out for our best interests. When we finally decide to retire, we plan on calling on her again to find us a beautiful home in Pagosa Springs, Colorado. Kim went out of her way in every step of the process of selling our home. She was always positive and helped us set up the house to sell it. She did a lot of work and cleaning up to always make it perfect for showings. And she dealt with a difficult buyer and answered each and every question with a smile and got the sale. I cannot recommend any realtor higher than Kimberly Brown!